I recently came across a 2009 blog that attempted to predict the top 10 hot trends in senior care. Trailing behind things like For Profit Social Workers, Peer Care, and Parent Sitters was number eight, Electronic Alert Devices, and number ten, Big Brother. Big Brother was the blog’s way of describing the plethora of “granny cams” (their description, not mine), motion detectors, and other monitoring tools that were at one point used to observe children remotely. These products have now been revamped for senior use, allowing better observance with less man-power. 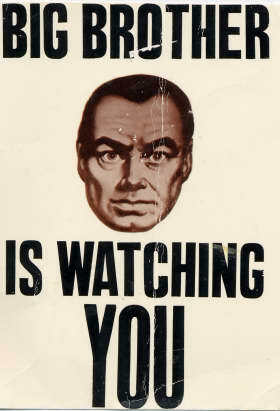 The term, Big Brother, is an homage to the 1948 Dystopian novel, 1984. The term has negative connotations, implying a voyeuristic mentality used for control. In regards to senior care, I disagree with that assertion and therefore the label. It is bad form to draw parallels between the senior care remote monitoring technological advances and the Stalin-esque shadow leader of 40’s lore. In truth, the service provided by this monitoring hardware is a boon to senior care. At a time when health care expenses are trending higher and higher, any means of cutting costs while still maintaining effective care should be lauded, not loathed. Remote monitoring saves money by lessening the need for constant physical peer-to-peer supervision. According to research firm Juniper Research, cost savings from mobile health monitoring is going to reach a minimum of $1.9 billion dollars globally by 2014. That is the conservative estimate. In fact, the way things are trending, mobile health monitoring could save as much as $5.8 billion dollars globally in the next three years. There are two ways to look at it. Either its $1.9 – 5.8 billion dollars that we didn’t have to spend in the first place or its $1.9 to $5.8 billion dollars that we can now allocate to other healthcare efforts. Either way, the benefit of remote patient monitoring is undeniable, which is why the negative branding, Big Brother, is so offensive to me. People still seem to fear technology, when it saves both lives and money to a degree that should be praised. Medminder’s Maya product could be considered an amalgamation of number eight and ten on that list. It has a monitoring component to it, alerting others if the user doesn’t take their medicine on time. Yet it is also an Electronic Alert Device, designed to make it so the user doesn’t forget to take their medicine in the first place.